Welcome to the historic town of Crested Butte! Our town is full of colorful locals and also lots of history. It is considered the last great Colorado ski town, and is also known as the Wildflower Capitol of Colorado! Once a summer home for the Ute Indians in the East River Valley, we now have grown into a popular year-round tourist destination. With many activities for the outdoor enthusiasts, Crested Butte has become the ultimate Colorado get away for family and friends of all ages! 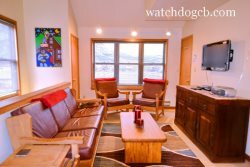 Here are some great Town of Crested Butte lodging options for your familys next winter ski vacation to Colorado. Our quaint little town is rated one of the Worlds Best Ski Towns. Crested Butte offers great activities, nightlife, and dining option for adults and children of all ages. Browse our rentals here on our site and please contact us if you would like more information.